My name is Michael Sullivan. I am the Race Director for the first Friends of Fatima 5k. 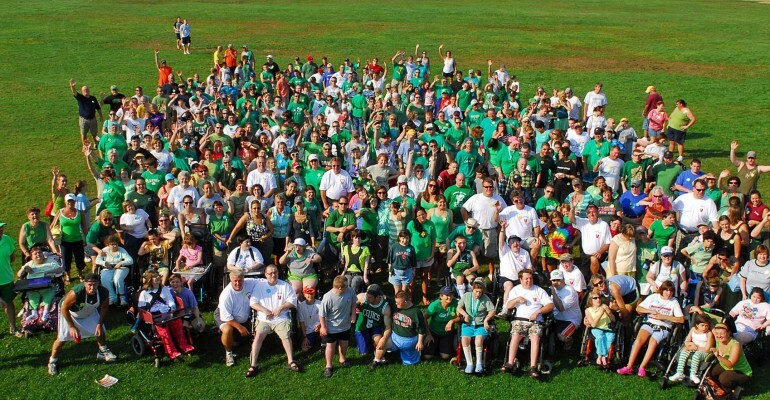 The race will be held on September 24th, 2016 and will benefit Camp Fatima Exceptional Citizens Week in Gilmanton I.W., NH. This years race will be in memory of Mary Ann French. Mary Ann was a lifelong volunteer at EC Week. Exceptional Citizens’ Week at Camp Fatima is a co‐ed week long camp for children and adults ages 9+ (campers) with intellectual and/or physical challenges including, but not limited to Intellectual Disability, Down Syndrome, Cerebral Palsy and Autism Spectrum Disorder. Each camper receives one‐to‐one care and experiences a week of horseback riding, swimming, boating, arts and crafts, and many more special events that they otherwise may not be able to enjoy. The 300+ dedicated volunteers and many generous donors allow EC Week to offer this great week to over 170 campers at no cost to campers’ families and caregivers. My Family and I have been involved with Camp Fatima and have volunteered at Exceptional Citizens Week for 36 years. This coming August will be my 25th year as a volunteer. My multihandicapped, twin sister Michele started attending EC Week when she was 10. She attended for 27 years until her passing in 2009. Michele benefited so much from what camp has to offer. For Michele it was the highlight of her year, it was her vacation and she could do whatever she wanted. She smiled from the moment she came down the camp road, until she left 6 days later. She danced and swam, she rode horses, went on boat rides and did arts and crafts. She loved being around people, and music is what made her shine. Camp is where she always wanted to be. That is why I choose to do this. What I love most about EC Week is that it’s a highlight in the lives of campers every year. Each camper is treated as an exceptional citizen. All of the activities are centered around the camper’s interests and they are catered to by a qualified, enthusiastic and energetic volunteer staff, many of whom also consider the week a highlight in their year, and their lives. The counselors combine talents with the camp’s ample facilities to create a diverse and memorable program. I’m confident that this event will be a great opportunity to raise much needed funds to enable us to continue to give campers the vacation of a lifetime I would love you to be a part of that. If you or your organization would like to participate in our event as a sponsor, please see the attachment detailing the various levels of sponsorship. I’m happy to answer any questions you have about camp or the sponsorship opportunities.